Hoping to revolutionize live broadcasting on the Internet, Bram Cohen has filed a patent application for the new BitTorrent Live streaming protocol. BitTorrent’s inventor has worked on the new technology for several years and believes his new protocol can be world-changing. “We plan to shape the future of live broadcasts and want to work with broadcasters to accomplish that,” Cohen says. 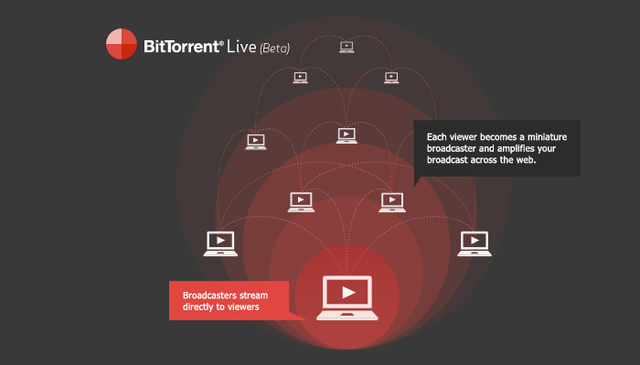 Earlier this month BitTorrent Livewas unveiled to the public. The new protocol allows the public to send a video stream to millions of people, without having to invest in expensive bandwidth. Around the same time as BitTorrent Live was launched the underlying patent applicationwas published online. In it, Cohen describes what makes the technology so unique and TorrentFreak caught up with BitTorrent’s creator to find out more. 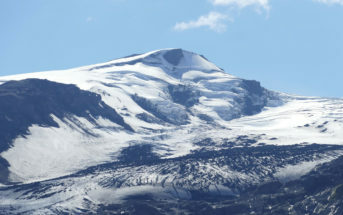 It took nearly half a decade before BitTorrent’s live stream service was released to the public. One of the main reasons is that it has been quite a challenge to make it work seamlessly. BitTorrent’s inventor is known for his passion for puzzles, and the streaming challenge is probably one of the most difficult puzzles he has solved to date. “Doing live streaming well on the Internet has long been a problem. Peer to peer live-streaming has always suffered from high latency, meaning there is typically a lot of delay between when a broadcast happens and when end users see it, typically dozens of seconds or minutes,” Cohen told TorrentFreak. “BitTorrent Live allows a broadcaster to stream to millions of people with just a few seconds of latency. This is new, and unique, and potentially world-changing,” he adds. Bram Cohen explains that the patent is in no way going to restrict user’ access to the new protocol, quite the contrary. BitTorrent Live will be available to end users for free, and publishers who are using the service and hosting it on their own will not be charged either. “We want people to use and adopt BitTorrent Live. But we aren’t planning on encouraging alternative implementation because it’s a tricky protocol to implement and poorly behaved peers can impact everyone. We want to ensure a quality experience for all and this is the best approach for us to take,” Cohen told TorrentFreak. BitTorrent Live is a complex technology but basically works by dividing peers into various “clubs” of peers who share data among each other via a UDP screamer protocol. “To get slightly more technical, the way BitTorrent Live works is by making subsets of peers responsible for subsets of data. High robustness and low latency is achieved by using a screamer protocol between those peers,” Cohen explains. Bram Cohen believes that the future of television is on the Internet, and BitTorrent Live can help to deliver live high-definition content to millions of people at once at no cost. This is not just the future for independent broadcasters, but also for the major content companies. “I believe that inevitably all video streaming will be done over the Internet. It’s simply a better technology for doing so. On a technical level the cable approach is expensive and can only reach subscribers, as opposed to the Internet which can reach anyone,” Cohen told us. While it can’t be expected that all major broadcasters will convert to BitTorrent during the next month, the technology is there and the patent is coming. It will be interesting to see how it develops over time and if it can gain mainstream adoption. There are not many people who can change the fundamentals of the Internet two times in a row. However, Bram Cohen already did it once with the original BitTorrent protocol, and he believes that BitTorrent Live can have a similar impact. Those who are interested in trying out BitTorrent Live can do so here. The more people join, the better it gets.